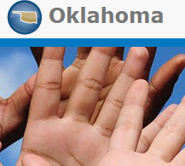 Feedback | Welcome to Legal Aid Services of Oklahoma's guide to free legal help in Oklahoma. We welcome your feedback to help us serve you better. This is a place to leave comments or suggestions about this website. Sorry, we cannot give legal advice, answer questions, or refer you to a lawyer. If you leave a message asking for help, we will not respond. Legal Aid Services of Oklahoma helps people with very low-income, who have civil, not criminal, legal problems. Call Monday - Thursday, 8:30 a.m. to 4 p.m.